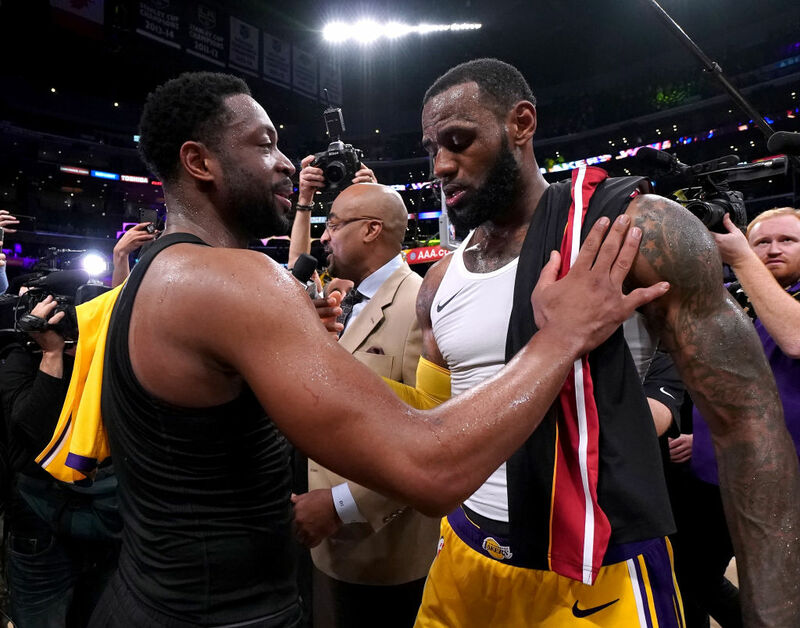 NBA: Are LeBron James and Dwyane Wade Going to Team up Again? With Dwyane Wade retiring at the end of the 2018-19 NBA season, fans want to know what he will do during retirement. One possible scenario? Purchasing a team with his friend, LeBron James. This isn’t out of the ordinary as teams have given small ownership stakes to all-time greats, but it might be different with James and Wade. With each of them earning hundreds of millions of dollars during their playing careers, they could make a substantial offer to a current owner. LeBron and D-Wade both said they want to own teams, and they’ve teamed up before, so why not again? We are going to have a look at some of the teams that could be sold and which ones make the most sense for the soon to be Hall of Famers. The Nets are finally turning things around on the court, and the team can be an attractive purchase for anyone looking to buy a team, especially LeBron and Dwyane Wade. D’Angelo Russell is an All-Star, they should have cap flexibility for the next two offseasons, and they are restocking their first-round picks after the horrendous deal with Boston. Plus, Brooklyn has been a popular team for owners in the past, and it could provide an excellent return on investment for James and Wade. Although it’s unlikely the Timberwolves will be sold anytime soon, this would be an excellent Western Conference team to purchase. They have a star in Karl-Anthony Townes and Andrew Wiggins should provide excellent trade value eventually. If LeBron James and Dwyane Wade decided to go that route, their cache could turn a rebuild into a playoff contender. James has already orchestrated a trade for Wiggins before so why would it be hard the second time? 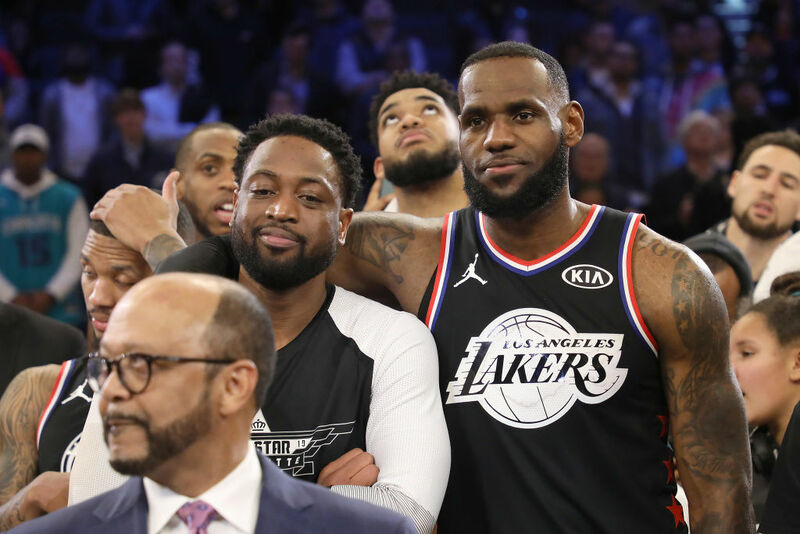 Owning the Kings makes sense for LeBron and D-Wade for several reasons, mainly that they haven’t made the playoffs in over a decade. The team has young talent, but in the tougher of the two conferences they will need a few more pieces to make a dent in the playoff run, as they finished ninth in the West but eight games behind the Clippers and Spurs for the final two spots. There wouldn’t need to be a fire sale of team assets either, just smart cap management and excellent scouting. This is something that has escaped the Kings basketball operations for years. If LeBron James and Dwyane Wade come to town as owners, it would Sacramento instant credibility. However, current owner Vivek Ranadivé hasn’t shown any indication he wants to sell. The Bulls have been full in recent seasons. Whether it was Bobby Portis sucker punching a teammate, or younger players starting a revolt against a newly appointed head coach, it’s been a disaster in Chicago. The Bulls have struggled all season long, and have ensured another lottery pick. The team has a young core of Zach LaVine and Otto Porter Jr, although on a max deal Porter Jr. could be an expendable piece in a trade scenario. Current owner Jerry Reinsdorf isn’t getting any younger, and the team might be on the market someday soon. Taking ownership of the team that he loved growing up would be a dream come true for Chicago native Dwyane Wade. This would be a dream come true for Knicks fans. It would get James Dolan out of the top seat of team operations and give two high profile players the chance to turn around a struggling franchise. With potentially two max players and Zion Williamson on the roster, the Knicks would be an attractive option for any ownership group in the near future. Having two of the games greatest at the driver’s seat would only bring more momentum and buzz into the Big Apple. What team do you think LeBron and Dwyane Wade should own? With all of these franchises struggling to make the postseason consistently, it makes sense for them to be prime candidates for new ownership. Whether that’s LeBron James and Dwyane Wade or another group, each one has tremendous upside for whoever’s in charge. However, given that LeBron appears to have several seasons left in the tank, it might be a while until has time to consider owning a team.